Here is a sample TMD evaluation form that we use at Freedom Physical Therapy Services. Daily parafunctional activities such as smoking, bruxism, chewing gum, snoring, leaning on chin, biting nails, lip biting, clenching teeth can all cause or create symptoms. Work, household responsibilities, hobbies and/or recreational activities may involve repetitive stress and prolonged postures, e.g. computer work, that add to or exacerbate the presenting symptoms. Emotional stress can trigger nervous habits or poor postural responses, which can lead to TMJ symptoms. Diagnostic imaging helps provide added information. It is very important to make sure the clinical objective findings correlate with any diagnostic imaging. For example, disc displacement is common in non symptomatic subjects, MRI evidence of disc displacement is not considered significant unless ROM is restricted or a nonreducing disc is suspected clinically. 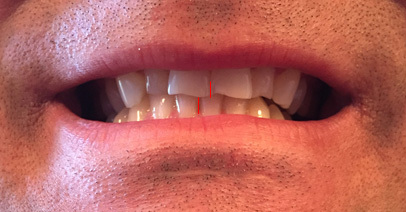 This section is intended to capture the most commonly used assessment for TMD. It is not intended to be either inclusive or exclusive of assessment tools. Lateral movements with return to midline. The opening pathway is altered but returns to midline, usually indicative of a disc displacement WITH reduction or could be neuromuscular dysfunction. Lateral movements without return to midline. Deflections are usually associated with Disc Dislocations without reduction or a unilateral muscle restriction. Assess muscles of mastication, deep cervical flexors and scapular stabilizers. Assess chewing, swallowing, coughing, and talking. Either have patient demonstrate task or ask for patient’s subjective report. Include changes the patient has made to their own diet to accommodate for their pain and dysfunction. Determine which movements cause pain, including opening or closing of mouth, eating, yawning, biting, chewing, swallowing, speaking, or shouting. The patient may also present with headaches and cervical pain. Pain may also be present in the distribution of one of the three branches of the trigeminal nerve. These may include the feeling of fullness of the ear, tinnitus and/or vague dizziness. These symptoms are seen in approximately 33-40% of patients with TMJ and usually resolve after treatment. Assess cervical A/PROM, muscle length including deep cervical flexors, myotomes, dermatomes and reflexes. Watch this video to learn how Physical Therapist palpate or find the muscles of mastication (chewing) including the temporalis, masseter and pterygoid pair. Treating these muscles helps reduce myofascial pain and TMJ issues.